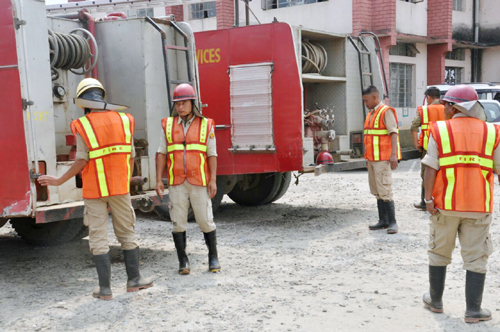 The District Disaster Management Authority (DDMA) Kohima in collaboration with PWD (national highways) has undertaken restoration works of the sinking road near Kohima town along National Highway 29 (Kohima-Dimapur road). The DDMA Kohima is making all necessary arrangements and coordinating with the line departments to complete the restoration work soon. Following the landslide, the Kohima district administration has appealed to the public not to panic about shortage of essential commodities. The district authorities have informed that enough commodities were available including fuel. Talking to AIR Kohima, Kohima additional deputy commissioner Lithrongla said there was no shortage of essential commodities. The district administration has made necessary arrangements for transporting fuel as well as trucks carrying essential commodities to the capital, she informed. The ADC further said the NH-29 restoration work was in full swing and sought the cooperation of the public. Meanwhile, Dimapur police has restricted plying of heavy vehicles weighing more than 10 tons which are bound for Kohima and Manipur from Dimapur beyond Chumukedima inner line permit check gate with immediate effect until further order.